At Mortgage Required we are passionate about working within the community that supports us. We have worked closely with our chosen charity Alzheimer Dementia Support for the past 5 years. We proudly support many of their events throughout the year. In addition we donate £1 from each mortgage fee received to the charity. For the past 5 years we have been the main sponsor of their annual Santa Fun Run, helping them achieve their goal of 500 Santas running the 5k course around the Olympic Rowing lake in Dorney and Raising valuable funds. We are delighted to once again be the main sponsor in 2018. We are delighted to have teamed up with SPICE a charity devoted to teaching children and young adults of mixed abilities to ice skate. Spice teaches ice skating, ice hockey and has its very own very own synchronized skating team. We look forward to working with SPICE helping them to continue the great work they do in the community. For more information on the charity click here. 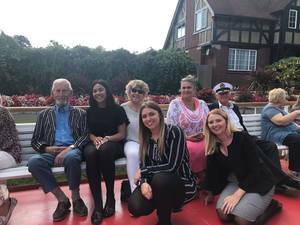 A Lovely Sunny day on the Thames greeted our guests on the 5th of September as they were welcomed aboard the Beautiful Southern Comfort paddle steamer by the Mortgage Required team and representatives from Alzheimer Dementia Support. The afternoon was a great success with entertainment from singer Julie George and a splendid tea complete with scones and cakes. We were delighted to once again support this event continuing our 5 year relationship with Alzheimer Dementia Support. The charity which helps those suffering from this horrible disease and their carers carries out essential work in the community and can be a real life line to many in the community. For the 5th Year Mortgage Required will be the main sponsor at the Annual Alzheimer Dementia Support Santa Fun Run to be held on the 25th of November 2018. Entries are now open so why not sign up now, help raise valuable funds and get fit for Christmas. This year we will be promoting Couch To 5k through our Facebook page so why not join the Mortgage Required Team shed those summer holiday pounds. You can enter yourself, family and friends here. We look forward to seeing you on the start line. The Great British Bake Off had nothing on Mortgage Required in June when members of the team put on their aprons and cooked some cakes. Never put off by a challenge the rest of the team bravely worked their way through a mountain of cakes raising £50 for charity. Proud sponsors of Maidenhead United Football Club. We are delighted to Sponsor Maidenhead United who were promoted to the national league last season. The club which boasts the oldest continuously used ground in the world is a key part of the town. With a strong youth academy and an ambition to further improve the club, they also support many worthwhile causes including the Link Foundation. 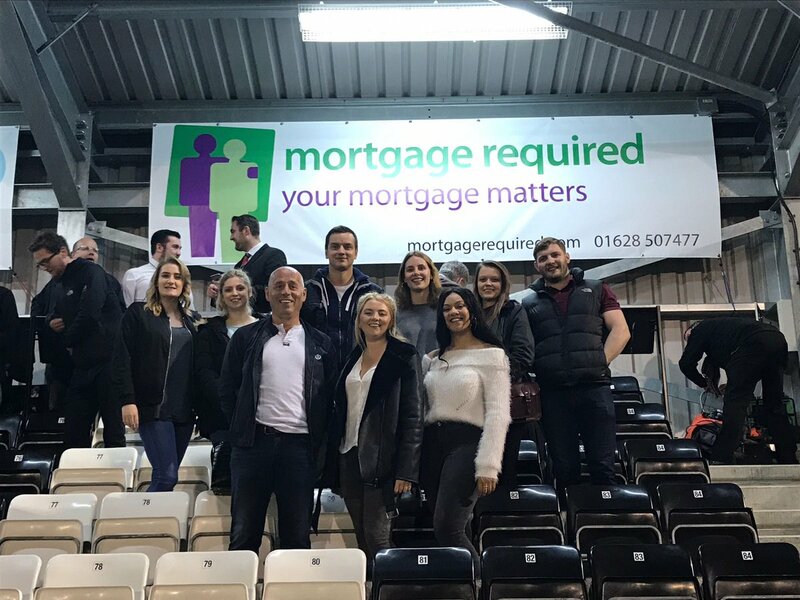 The Mortgage Required team can regularly be seen at the ground supporting the team and are proud to sponsor the club. Mortgage Required will once again support Tea on The Thames, an event organised by Alzheimer Dementia Support, for the benefit of people with dementia their family and friends. The event which will take place on September the 5th will be a pleasant trip along the Thames with afternoon tea and entertainment. The event was a great success in 2017 which despite the weather couldn’t dampen the sing song led by members of the Mortgage Required team. Tracy Gordon Operations Director at Mortgage Required commented: “We are delighted to once again be in a position to sponsor this event as the team who joined me in 2017 really enjoyed the day. It was a fantastic afternoon and a really great opportunity to find out about the valuable work the charity does as well as meet some of the guests who benefit". Alzheimer’s Dementia Support (ADS) is a local charity which offers constructive practical guidance and a wide range of services to help people in the local community whose lives are directly or indirectly affected by dementia. 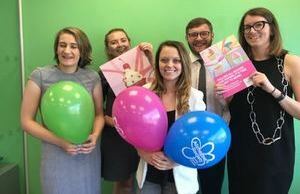 Since their inception in 2011, members of the ADS team have successfully touched the lives of an ever growing number people with dementia and their carers. 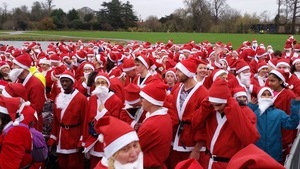 Also see our ADS Santa Fun Run page. 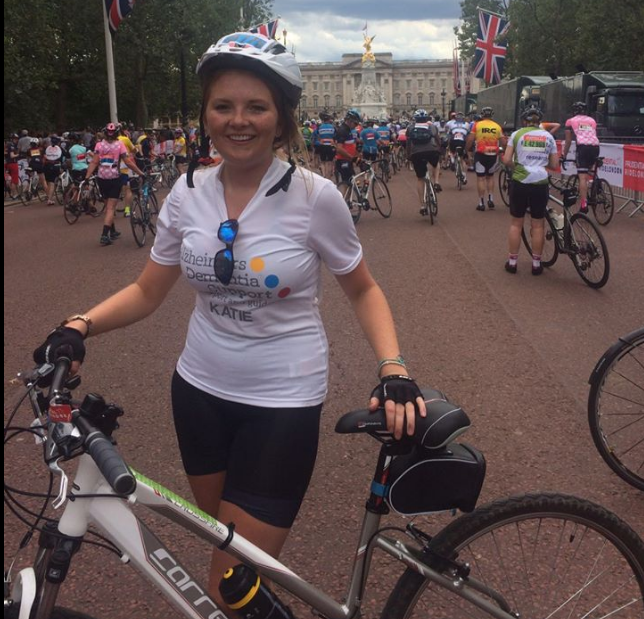 Tim and Katie complete the Prudential RideLondon 100. We had a great day, it was amazing to see 26,000 riders all raising money for good causes. The support we received as we passed through London & Surrey was amazing, with towns getting in the party spirit and encouraging everyone on. Despite the aching limbs, we are delighted to have competed and to have raised £1200 for our chosen charity Alzheimer Dementia Support. 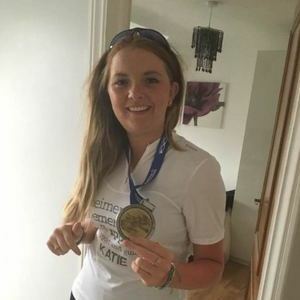 Following Katie's success in the Prudential RideLondon 100 in 2016, she has decided to put herself through the pain of another cycle ride. The event to be held on the 27th & 28th of May is the Woman V Cancer Ride The Night. The 100k event which starts and finishes at the Royal Windsor Race Course is raising funds for three amazing charities; Breast Cancer Care, Ovarian Cancer Action and Jo's Cervical Cancer Trust. Katie by her own admission is not a regular cyclist is being supported by her mum and friends, who are also taking part. 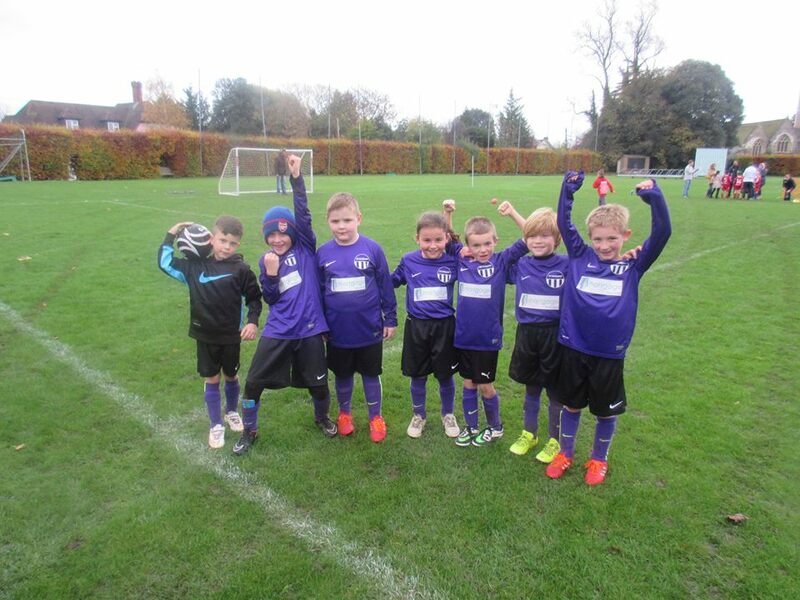 FC Holyport is an Under 8’s team set up by Holyport local Mark Branwhite in the Summer of 2015. The team have been making great progress and what they lack in heritage they more than make up for in enthusiasm. Based at Bray Cricket Club, in their striking Purple kit complete with Mortgage Required livery we have high hopes for 2016 and perhaps the next Wayne Rooney. Maidenhead Town Football Club is a local club founded in 2004. They field two adult sides competing in the East Berkshire League and an Under 18’s team. 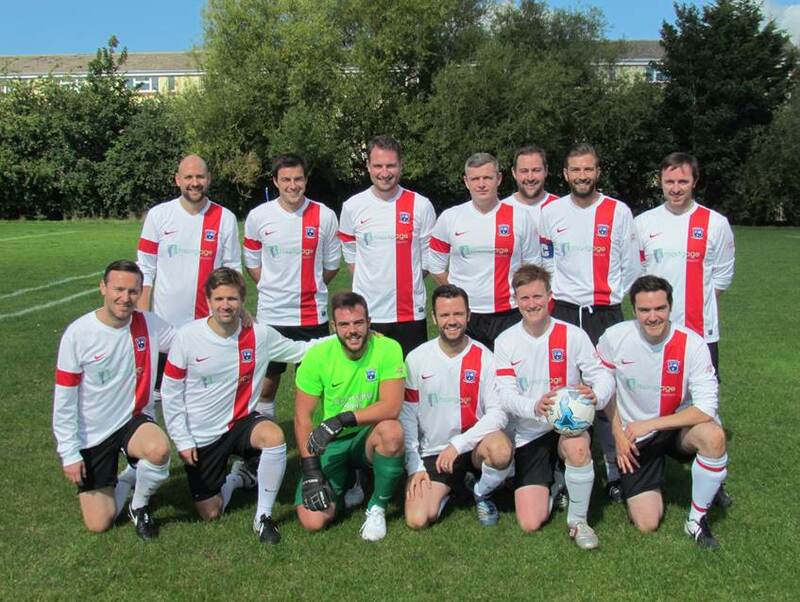 Over the last 11 years they have enjoyed great success; last season was their most successful one ever, winning the Division Two title and reaching two cup finals, both at Burnham FC.